I remember Sinclair stations in New York back in the 1960's. Apparently when BP bought out the East Coast iteration of the brand, another entity, I believe ARCO or Atlantic Richfield continued to use the name out West. The Amoco brand disappeared (except one Midwest station to preserve the trade name) when BP acquired them. About a year ago, a Sinclair station popped up in Port Chester, using the old "Dino" graphics. It had been operating as a Valero. And a Gulf Station changed over to Amoco in Pelham, New York. Any one else see this phenomena? Any other examples? I started a similar thread on revival of food and drink brands, Necro-Ing/Revival Of Food and Drink Brands. Can't say I have here. Citgo is the dominant "name" in my area. Exxon has almost totally left the market, Shell and BP each have a few stations but not many, like two each. The grocery chains, however, have gas stations attached to almost all of their stores selling no brand gas. BP, British Petrolrum, took over Amoco, American Oil Company, but the American ==> British was not a part of their image campaign. 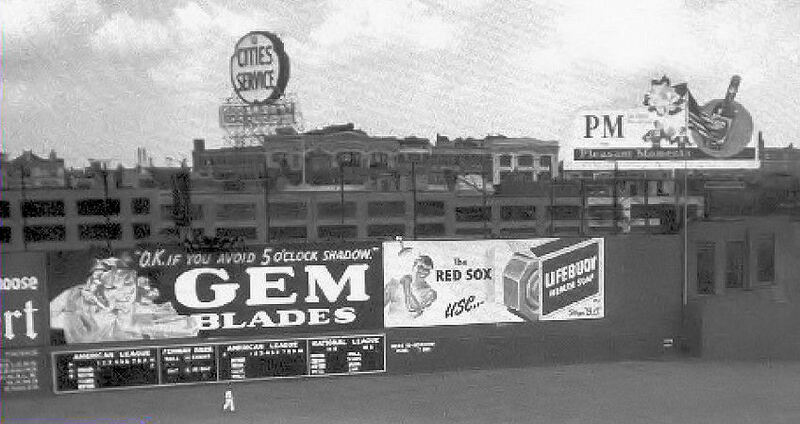 The famous Citgo sign outside Fenway Park used to be Cities Service from 1940-1965. Last edited by cebuan; Yesterday at 07:13 AM..
It’s speedway in my area in fact speedway took over all Heiss stations in the Tampa Florida area. We also have plenty of Kroger and meijer stations also. Sinclair as a brand never went away. Even under the ownership of ARCO, the name was used in the Midwest and the brand was divested in the east to satisfy anti-trust regulators. Sinclair has announced that it is planning on opening/rebranding 200 locations in the northeast over the next few years. I stumbled across that Sinclair in Port Chester and was surprised by it. Per their website, there are about 10 units in NY, NJ, and CT.
Speedway bought the retail operation of Hess a few years back and the latter wanted to get out of retail. I saw Sinclair stations all over Eastern Oregon when I visited for the 2017 eclipse. I don't know how long they've been there, but the dino-signs generally looked newer. In Minnesota there are a few old Sinclair stations still hanging on, not many though. A few years ago I remember reading in our tiny local paper about a Sinclair that was planning to tear down and rebuild their store and double their size in the process. I thought that was kind of neat to hear since there are so few Sinclair stations around. That turned out not to be the case though, because when they re-opened they did so as a "Holiday" gas station. Holiday is a large local chain around here. Another large local chain was called "SuperAmerica", but they were recently snatched up by Speedway, and are in the process of converting over right now. In the 50's, as I recall, alll stations were branded with a name associated with a refining company. America then underwent a major marketing change, an example of which was a bunch of Wisco-99 stations in Milwaukee, the beginning of the modern convenience store. Holiday appeared a few years later, even selling clothing and hardware. However, in the rural south, there was also the famous Billups chain, launched in the 1940s by a Mississippi coffee company. Mobil, Arco, Chevron, 76, and Shell are king in SoCal. Mobil (part of Exxon-Mobil, formerly Socony or Standard Oil Company of New York), Shell, Sunoco, Gulf (really Cumberland Farms) and to a lesser extent Speedway are king in Westchester County, New York. Conoco has made a notable appearance, and Valero has more or less exited the market. There are still Valeros in nearby parts of New Jersey.